I have two vivid memories of my time reading Y: The Last Man, the epochal comics series by Brian K Vaughn and artist Pia Guerra. The first is the basic premise. The second is that monkey, Ampersand. Ampersand is a great monkey. He’s Yorick’s constant companion, one of the only two surviving male mammals in the known world, and a major visual signifier of the comic as a whole. But how will FX, the network putting together the upcoming Y TV series, handle the constant on-screen presence of an adorable little monkey? As it turns out, much to my personal disappointment, with CGI. 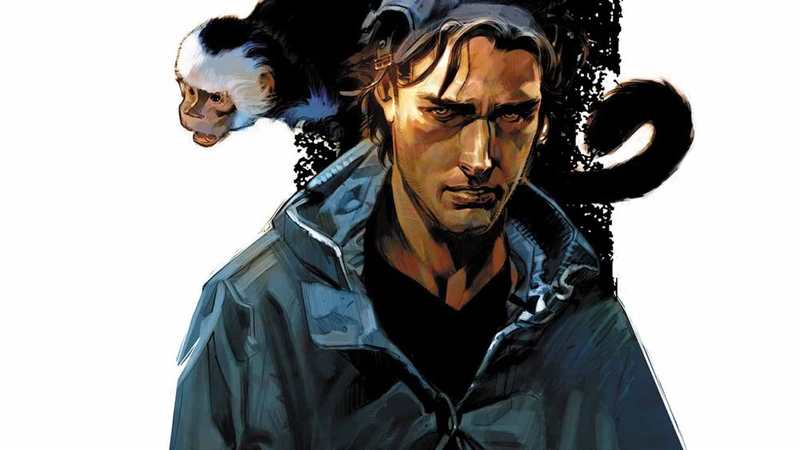 Talking to Slash Film, John Landgraf, CEO of FX, shared some new details on the series, which is apparently going to be shortened to from Y: The Last Man to just Y. The most interesting of which is the decision to cast Ampersand, according to Landgraf, as “mostly CGI”, as opposed to hiring a real-life monkey to be a part of the cast. While this is probably a kindness to the monkey that would have to be put in the work and the cast that would have to learn how to deal with a monkey in every scene, the joy of practical animal effects is still profound. It’s a little bit of real-life unpredictability in every scene. Ah, well, we’ll always have Marcel. The Slash Film article had a few other fun details, too, most notably that Diane Lane is playing Yorick’s mother, Representative Jennifer Brown, and that Timothy Hutton is indeed playing the President of the United States on the show, though for how long and in what format is unclear, as Landgraf refuses to divulge, and so far as we know the President is dead in the present of the Y universe. Y is currently in production at FX, though the timing is currently unknown.